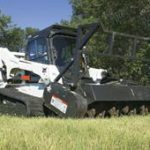 Bobcat’s forestry cutter attachment lives up to the reputation that the leading name in the industry has built for itself throughout the last five decades. 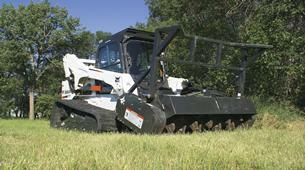 For any removal job, large or small, the forestry cutter is one Bobcat genuine attachment part that you can rely on. 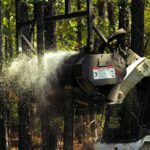 Built with sturdy teeth tipped in carbide and securely mounted on a heavy-duty rotating drum, the forestry cutter can demolish thick underbrush and slice through trees with ease and precision, and the fun doesn’t end there. 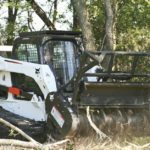 Once the trees and brush are down, you can use the attachment to easily process them into a fine mulch that you can use for any application you wish. 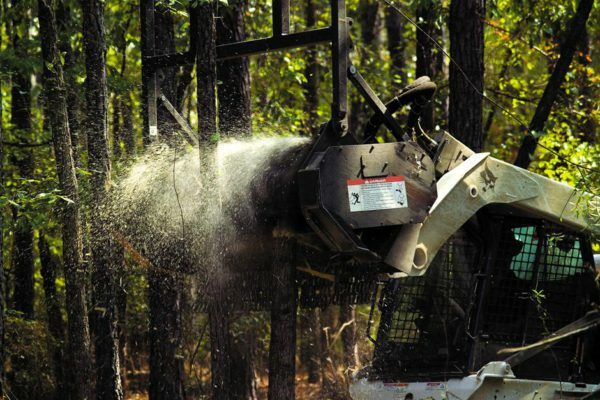 The forestry cutter is compact but stronger than ever, allowing you to perform any type of removal work. You can use the cutter to thin stands selectively or to clear out trees over a large area. It’s strong teeth are able to punch right through trees large in diameter, taking them down with ease. Operation is simple and Bobcat is there to walk you through every step. 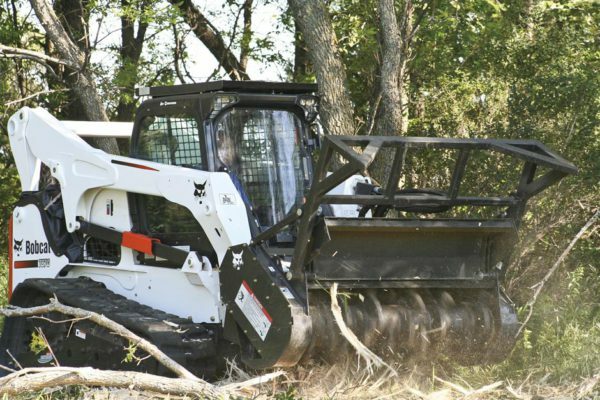 With the forestry cutter attachment, you’ll receive the forestry applications kit, which must be installed on your loader in order to operate the attachment properly. This kit is specially designed with your protection in mind and will keep you going through the toughest work conditions with its debris guards, heavy-duty hydraulics, falling object protective structure, specially built muffler and lights, and so much more.>For the ultimate features and services to take you through the toughest conditions, you can always rely on Bobcat. Muffler Guard: Protects tailpipe from damage and reduces material buildup in the engine compartment.